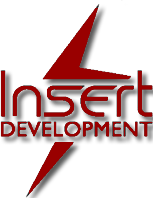 Insert Development is industrial development firm from Serbia, operated by three partners: INSERT DOO, MP and Associates DOO, and PRO ENERGO DOO. Insert-Development operated by three partners: INSERT DOO, MP and Associates DOO, and PRO ENERGO DOO. MP & Associates is a Belgrade based legal and investment consultancy firm. Pro-energo is a company engaged in project design and implementation, engineering and consulting services. Insert doo provides financial strenght to inudstrial property development projects, as well as advanced industrial production consultancy and management skills.